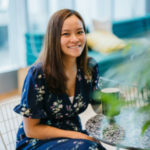 Asia Law Network has been on the lookout for strong women visionaries in the legal landscape so imagine our delight when Delphine Loo, CEO of the Law Society of Singapore agreed to speak with us about her journey and motivations. We are excited to hear from a visionary leading the society to greater heights. Thank you so much for agreeing to this Delphine! To start things off, how did you come about joining The Law Society of Singapore, and what were your thoughts when you first started? 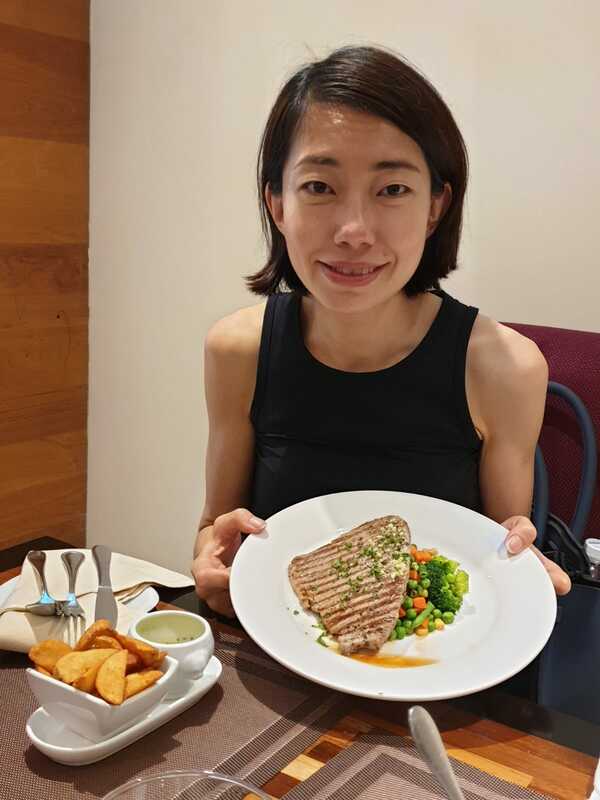 Well, at that time I remember I was a stay home mum for a while when I was approached to take up Directorship at one of the departments at The Law Society of Singapore. I had to work flexible hours because of the children, and I am grateful to have a great superior who was extremely understanding about my commitments. The first few months when I started were difficult as I had to spend more time in the office building up my team and putting processes in place, I must admit. But like every mum, we push through and overcome. I was doing flexi hours for about one and a half years before switching to full time. That must have been tough! What do you think is the most challenging aspect of your job? I think the most challenging aspect is to constantly keep members engaged in our activities. I want to be able to always show the value that The Law Society brings to the table and that can be presented in more ways than one. It would be a day with flexible timings because we are working with volunteer- lawyers who are constantly on the go. The only time that most lawyers can meet will mostly be lunch hours or after work. Sometimes I even have foreign guests who transit through Singapore and would like to meet up, so I have to meet them at very short notice. There are 60 staff at The Law Society now, so it is important to spend time encouraging, coaching, and mentoring them. I also have to manage the communications with Committees and Council. If there is spare time, I will look at what the other law societies are doing to brainstorm on what new initiatives we can take on next. What do you think is the most memorable incident/experience in your past four years with The Law Society? I think the most memorable experience I had recently was the proposed Civil Justice Reforms which saw the Council, Members and Secretariat working hand-in-hand to ensure feedback was promptly and accurately conveyed to the government. I sat through my first Council Meeting that ended at 11pm. I then flew off for my family vacation (which unfortunately could not be postponed) in the wee hours of 22 November, anxious for the fate of our profession and the outcome of the second town-hall with the Ministry of Law which was to take place that very same day. I was thankful to hear that day that the outcome was favourable for our profession and that could not be possible without members coming and working together. I cannot forget the rush of adrenaline I had when the outcome came through. It is experiences such as this that make my work at The Law Society meaningful. 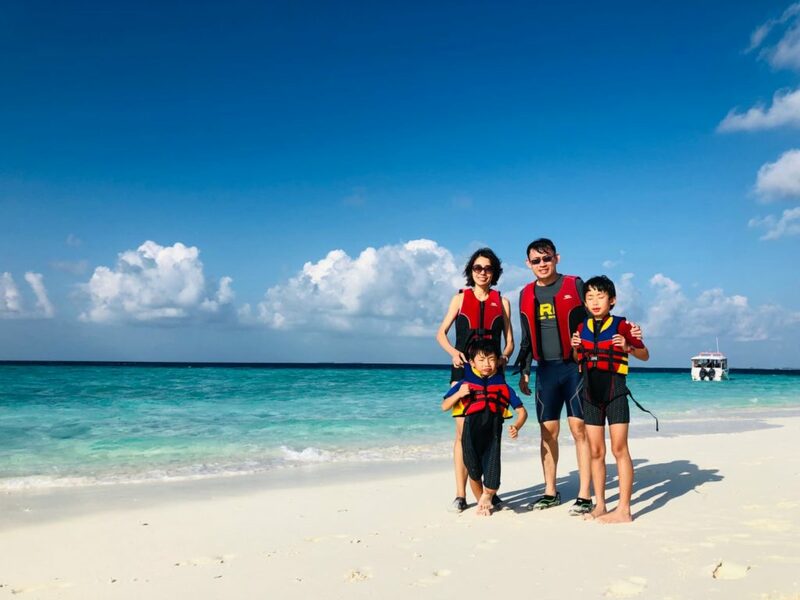 Delphine with her family on holiday in Maldives! How do you think your previous experience before joining The Law Society equipped you for this role? I would say that being in a practice as well as in house previously equipped me with the skillsets I need. I learned how to help a person become an effective lawyer, and the help that lawyers require when they are working in house. It gave me a lot of perspective to manage lawyers from different age groups and practice areas. What are some of the initiatives we can look forward to for The Law Society this year? There are just so many things going on, it is very exciting! I think first it would be Tech-celerate for Law, for our Singapore law practices (stay tuned if you want to know what that’s about). Then we would be doing more overseas missions to learn from other law societies. We would be looking to expand our non-compulsory members’ reach as well as to work with more partners and international bodies. We even have a kick off round table for women’s issues– to see how to we can help women lawyers stay in practice. If you have to choose one initiative that is significant to you, what would it be? The first round of Tech Start For Law went really well. As of 31 January 2018, we had already exceeded our target number of Singapore law practices who have successfully applied for the 70% subsidy offered by SPRING Singapore on the first-year subscription fees for one or more tech solutions. Additionally, we also received a significant number of applications for the SmartLaw Assist which affirms our efforts in being relevant to the lawyers in Singapore. There is always immense job satisfaction when our programmes and initiatives are well received. Moving forward, where do you see The Law Society in the next 5 years? Personally I would see The Law Society having an expanded footprint among the legal community: be it lawyers, in-house counsel, paralegals, foreign lawyers practicing in Singapore, returning lawyers from other countries. We hope to engage them all. Thank you for your answers thus far. For the last part of the feature, what are 3 fun facts that you can share about yourself? Fun Fact #1 A lot of people think I am much older than I am, and that is because of the age of my children. My husband and I married relatively young. We got married 24 days after I turned 24 and I became a mum at 25 1/2 years old. Fun Fact #2 I have a fashion rental subscription. I think this idea is very forward thinking because I am a person who wants to try something different when I can. Fun Fact #3 I studied at a women’s college in the UK for my university education. And recently I brought my children back to the college for their first visit! Imagine my surprise when my children loved the English breakfast at the college canteen and even said they had wanted to study there (haha!) I really hated the food when I was there! Thank you Delphine for sharing with us these wonderful snapshots! Delphine is always appreciating a good meal!